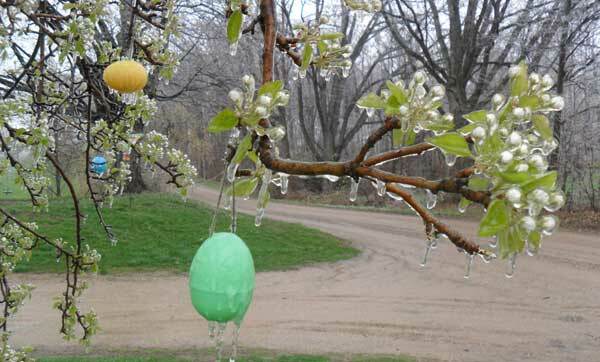 Tag Archive | "pear tree"
Tracy Skelonc, of Solon Township, sent us this photo last Friday, March 30, of their pear tree with ice on the blossoms and on the plastic Easter eggs hanging from it. Warm weather gave way to a cold front that brought freezing rain and hail to some areas in the early morning hours, and coated trees with a layer of ice. The ice quickly melted, however, when the sun finally came out.